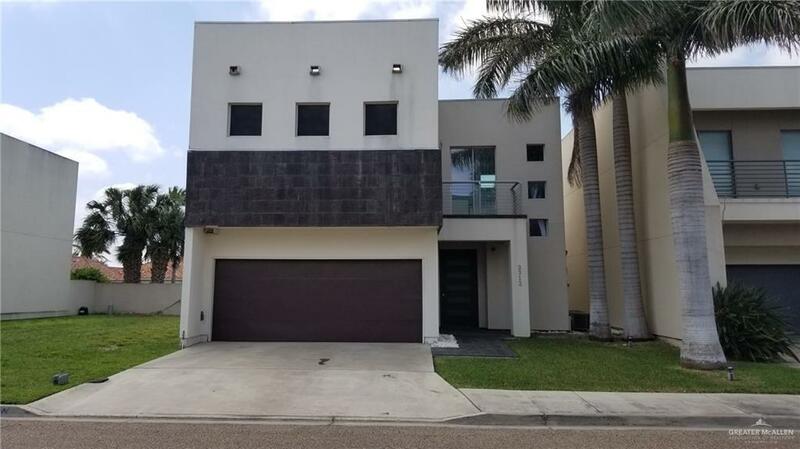 Amazing contemporary style home in a great south McAllen neighborhood features porcelain tile and laminate flooring and customized lighting dcor. 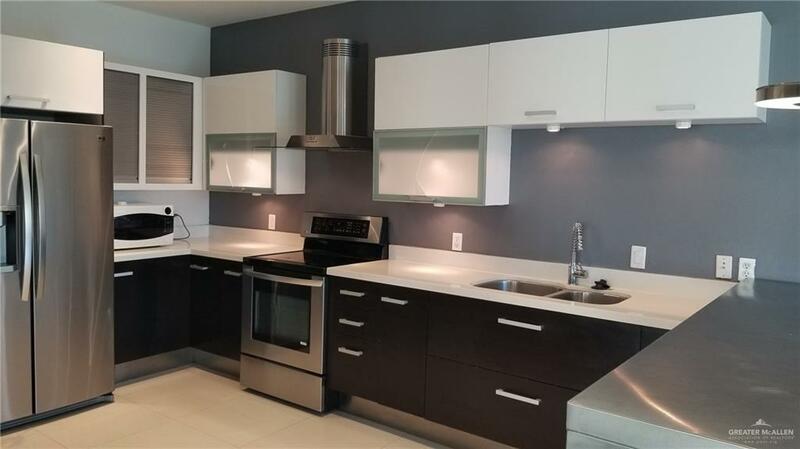 The Italian style kitchen is equipped with stainless steel appliances, white quartz counters, and dark chocolate cabinetry with white acrylic shelves. 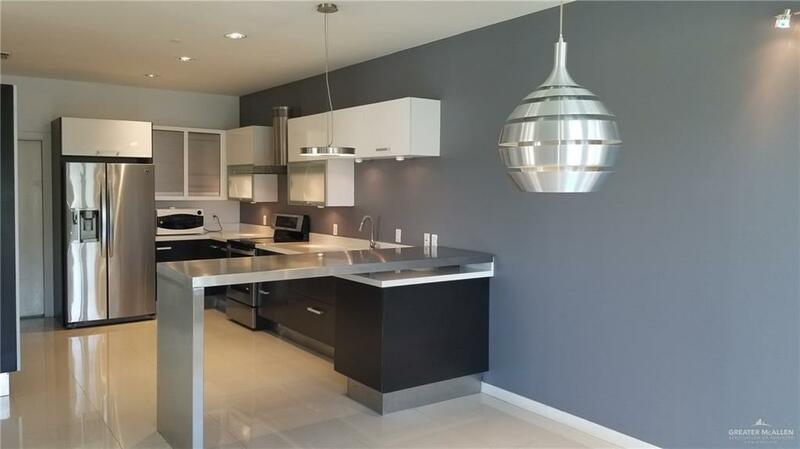 The home is equipped with 2 A/C units (one on each floor), a security system with video surveillance cameras at front & rear, 5 stylish roof ventilators, and contemporary pendants in kitchen & dining room. The HOA dues includes front lawn care and gated entrance into neighborhood.